Here I go, RANDOM! 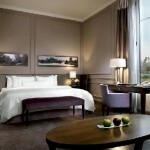 Have you ever stayed the night in your guest room and used the amenities you have in place for your guests? My guess is no. Now, I completely understand there is a fine line between a little comfort that your guests are still ready to go home, and not too much comfort that they want to stay too long. Don’t let me overstate my amenities. We have about a 2,000 square foot house and when we have company…we have company. At minimum, two sets of grandparents. It works; we just do a little room rearranging and thank goodness for the invention of the trundle bed. In my opinion, the worst thing about our guest amenities is the guest shower. It is a stand up shower. Somewhat of a triangle shape, I guess to be a space saver and whenever you move a half centimeter you touch the door and it opens. It is very annoying. Now, we are not going to do a full remodel at this point, but at least we can set expectations when guests join us. And it is not ideal that our guest room is also an office and if you are the lucky winner you might get to bunk with an almost four year old. Oy, this was not intended to dog my own amenities, but I guess this shows we all have our issues. The whole point of this topic was to get you to step back and check out what your guests experience. There might be little things you can change. Give it a shot. Test out your guest quarters. And if you want to go there, share the worst or best guest experience you have ever had. 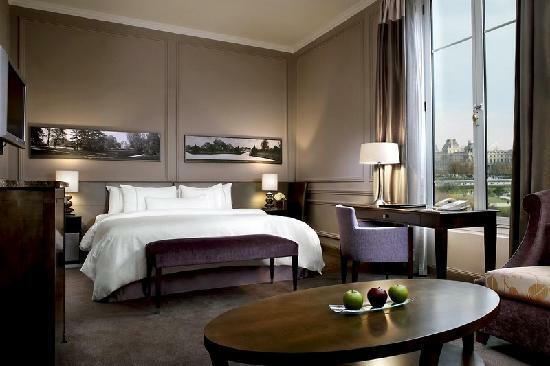 The photo is from the Westin Paris – Vendome. One can dream!